The National Union Party was the temporary name used by the Republican Party for the national ticket in the 1864 presidential election which was held during the Civil War. For the most part, state Republican parties did not change their name. The temporary name was used to attract War Democrats and border states, Unconditional Unionists and Unionist Party members who would not vote for the Republican Party. The party nominated incumbent President Abraham Lincoln and for Vice President Democrat Andrew Johnson, who were elected in an electoral landslide. The National Union Party was created prior to the General Election of November 1864, when the Civil War was still in progress. A faction of anti-Lincoln Radical Republicans held the belief that Lincoln was incompetent and therefore could not be reelected. A number of Radical Republicans formed a party called the Radical Democracy Party and a few hundred delegates met in Cleveland starting on May 31, 1864, eventually nominating John C. Frémont, who had also been the Republicans' first presidential standard-bearer during the 1856 presidential election. 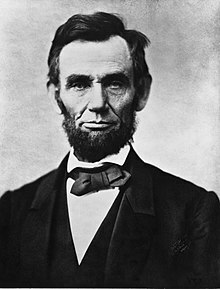 Republicans loyal to Lincoln created a new name for their party in convention at Baltimore, Maryland during the first week in June 1864 in order to accommodate the War Democrats who supported the war and wished to separate themselves from the Copperheads. This is the main reason why War Democrat Andrew Johnson was selected to be the vice presidential nominee as then-current Vice President Hannibal Hamlin was not nominated. The National Unionists supporting the Lincoln–Johnson ticket also hoped that the new party would stress the national character of the war. Lincoln did not show the pledge to his cabinet, but asked them to sign the sealed envelope. The complexion of the war changed as the election approached. Confederate Commander Robert E. Lee's last victory in battle occurred June 3, 1864 at Cold Harbor. Union General Ulysses S. Grant's aggressive tactics trapped Lee in the trenches defending Richmond. Admiral David Farragut successfully shut down Mobile Bay as a Confederate resource in the Battle of Mobile Bay on August 3–23, 1864. Most decisive of all, Union General William Tecumseh Sherman captured Atlanta on September 1, 1864, convincing even the pessimists that the Confederacy was collapsing. Frémont and his fellow Republicans hated their former ally Postmaster General Montgomery Blair. Frémont, aware that his candidacy could result in victory for the Democrats, made a deal to drop out of the presidential race in exchange for Blair's removal from office. On September 22, 1864, Frémont dropped out of the race. On September 23, Lincoln asked for and received Blair's resignation. The National Union ticket went on to win handily in the election of 1864, defeating the Democratic ticket of General George B. McClellan (whom Lincoln had previously relieved of his command) and George H. Pendleton. In the 1864 congressional elections, the party won 42 Senate seats (out of 54 senators seated, not including vacancies due to the secession of Confederate states) and 149 seats (out of 193) in the House of Representatives. These candidates ran under various party names, including National Union, Republican and Unconditional Union, but were part of the overall Republican/National Union effort. 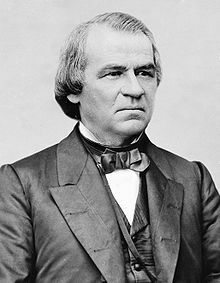 Upon Lincoln's death in 1865, Andrew Johnson became the only other National Union President. After the bitter break with the Republicans in Congress over Reconstruction policies, Johnson used federal patronage to build up a party of loyalists, but it proved to be unsuccessful. Johnson's friends sponsored the 1866 National Union Convention in August 1866 in Philadelphia as part of his attempt at maintaining a coalition of supporters. The convention sought to bring together moderate and conservative Republicans and defecting Democrats and forge an unbeatable coalition behind President Johnson and his Reconstruction policy. In the fall of 1866, Johnson embarked upon a speaking tour (known as the "Swing Around the Circle") before the 1866 Congressional elections to attempt to garner support for his policies. His swing was heavily ridiculed and proved ineffective as more of his opponents were elected. Republican National Committee chairman Henry Jarvis Raymond (1864–1866) lost the regard of the Republicans for his participation in the convention. The National Union movement became little more than the Democratic Party in a new form as Republicans left the movement and returned to the old party fold by the fall. The last congressman to represent the National Union Party ended his affiliation with the party in March 1867. Johnson was impeached by the Republican-led House of Representatives in 1868 and was acquitted in the Senate by one vote. Upon the 1869 expiration of Johnson's only term as President, the National Union Party came to an end. The platform adopted at the 1868 Republican National Convention strongly repudiated President Johnson while the platform adopted by the 1868 Democratic National Convention thanked Johnson. Johnson received dozens of votes on the first ballot of the Democratic convention, but the party ultimately nominated Horatio Seymour. Meanwhile, the mainline Republicans decided at their 1868 national convention to use the term the National Union Republican Convention. The 1868 National Union Republican delegates nominated Ulysses S. Grant for President and his running mate Schuyler Colfax for Vice President. In 1872, all reference to Union had disappeared. Historians regard the initial National Union coalition assembled in 1864 as part of the Republican Party lineage and heritage. ^ Arthur Schlesinger, Jr., ed. History of U.S. Political Parties: vol II: 1860–1910 (1973) 2:1287. 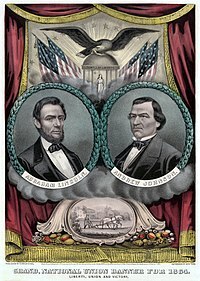 ^ John G. Nicolay and John Hay, Abraham Lincoln: A History (1890) 9:66. ^ "HarpWeek | Elections | 1864 Overview". Elections.harpweek.com. Retrieved October 12, 2013. ^ Mark Grimsley and Brooks D. Simpson, eds. The Collapse of the Confederacy (2001) p. 80. ^ Lincoln, Memorandum concerning his probable failure of re-election, August 23, 1864. Collected Works of Abraham Lincoln (1953), vol. 7, p. 514. ^ Allan Nevins, War for the Union 4:97–98, 120–122. ^ "Elections: 1864 Overview". HarpWeek. Retrieved August 6, 2011. ^ Aynes, Richard L. (2009). "The 39th Congress (1865–1867) and the 14th Amendment: Some Preliminary Perspectives" (PDF). Akron Law Review. 42 (4): 1022. Archived from the original (PDF) on April 4, 2012. ^ Hans Trefousse, Andrew Johnson: A Biography (1998) ch. 11–12. ^ Thomas Wagstaff, "The Arm-In-Arm Convention," Civil War History; 1968 14(2): 101–119. ^ Patrick W. Riddleberger, 1866: The Critical Year Revisited (1979). ^ "Republican Party Platform of 1868". ^ "Democratic Party Platform of 1868". ^ The standard multivolume history includes it with the Republican Party and does not give it a separate entry. Arthur Schlesinger, Jr. ed. History of U.S. Political Parties: vol II: 1860–1910 (1973). Donald, David (1996). Lincoln. Excerpt and text search. pp. 516–544. Johnson, David (2012). Decided on the Battlefield: Grant, Sherman, Lincoln and the Election of 1864. Nevins, Allan (1971). The War for the Union: The Organized war to Victory, 1864–1865. pp 97–143. Nicolay, John G. and John Hay (1890). Abraham Lincoln: A History. vol 9. ch 3, 15 and 16. McSeveney, Samuel T. (1986). "Re-Electing Lincoln: The Union Party Campaign and the Military Vote in Connecticut". Civil War History. 32(2). pp. 139–158. Waugh, John C. (2001). Reelecting Lincoln: The Battle For The 1864 Presidency. Excerpt and text search. Zornow, William Frank (1954). Lincoln and the Party Divided. Hurd v. Rock Island Bridge Co.
Military Order of the Loyal Legion of the U.S. This page was last edited on 18 April 2019, at 04:53 (UTC).